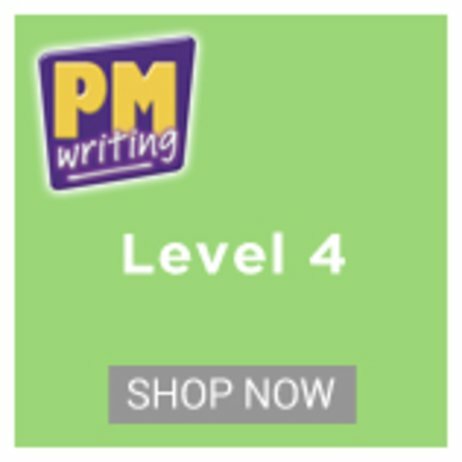 This great value PM Writing Easy-Buy Pack contains one copy of every PM Writing 4 title (6×24 PM Writing 4 books (144 books), 2 x Exemplars, 1 x Teachers’ Resource Book, 1 x Student Resource CD-ROM). PM Writing packs help children to make continuous progress in reading and writing across the 30 finely-graded PM levels. PM Writing Easy-buy Packs provide one copy of every book in your chosen stage.